If you play sports, have you considered lately how important your eyes are? 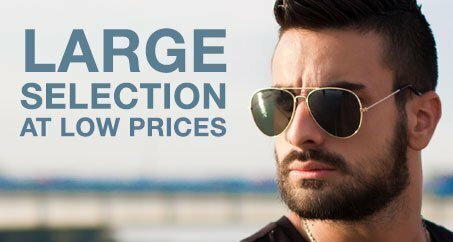 Safety sport sunglasses are used in a huge variety of sports, from soccer to football, lacrosse to hockey, basketball to baseball. It’s a bit counter-intuitive, but people who wear prescription glasses are actually at higher risk for eye injury during sports than those wearing no glasses at all. Even people without glasses, though, can succumb to a serious eye injury while playing sports. About 15% of eye injuries in adults age 18-40 occur during sports. Injuries from high-risk sports such as baseball, hockey, and lacrosse are especially likely to lead to permanent eye injury or blindness. Most sports-related eye injuries can be prevented simply by wearing safety sport sunglasses or prescription sports safety glasses. Improvements in eyewear and prescription technology has led to the majority of sports safety glasses being attractive, comfortable, reliable, resilient, long-lasting (durable), and, above all, extremely protective. Most people who wear sports safety glasses wait until after an injury before wearing them. Sometimes this is because they only have vision in one eye now, and the loss of the other eye would result in blindness. Some eye injuries from sports prevent participation in sports for years or the rest of your life. If you love your sport, are you willing to risk never playing it again by not wearing safety eyewear? The fact is, most people who play high-risk sports will tell you that their equipment is important to their sport, but in sports where eyewear is not typical of the equipment, they’ll completely neglect to wear sports safety glasses. Since they are available in prescription, for men and women, and in a huge variety of sizes and colors, there is no excuse not to have eye protection equipment as part of your regular sports equipment. The risks of not wearing sports safety eyewear simply aren’t worth it. This article has taught me a lot about safety sport sunglasses. It was interesting to learn that 15% of eye injuries occur in sports. I hope this article can help us to know what to do when my nieces and nephews start playing sports.